Looking for the road trip adventure of a life-time? New Zealand is definitely the place to do it! With so many of New Zealand’s incredible attractions being accessible by road, and with many of those roads winding through some of the most spectacular landscapes on the planet, it’s a scenic driver’s dream come true! But don’t be fooled, we don’t recommend you fly there, Rent-A-Car and ‘wing it’, especially if you are on a time-crunch. This is the type of trip that requires a lot of pre-planning & optimization of routes & logistics. Otherwise you’ll be under-done in your trip preparation and disappointed with what you missed (because you drove past it or didn’t have time to get there). 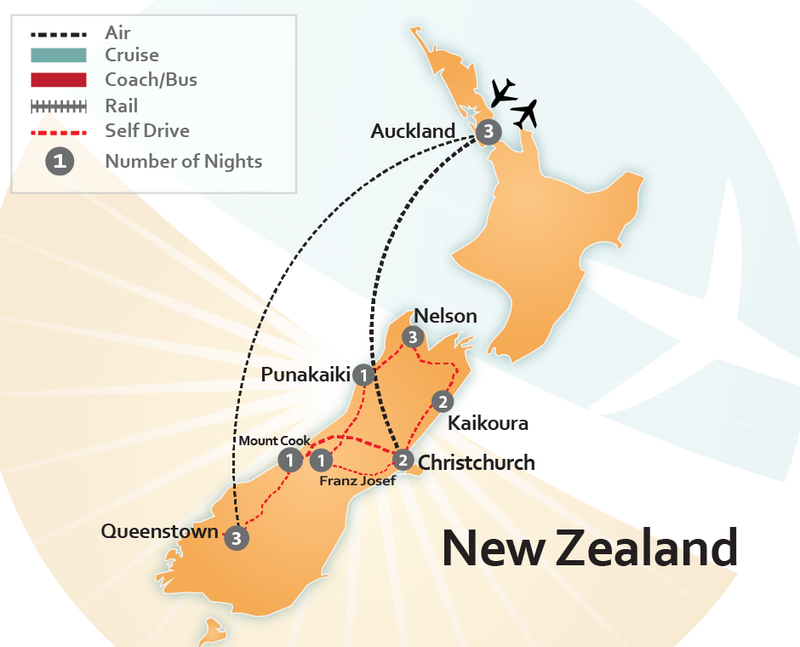 That is where we, your New Zealand Travel Experts, come into the picture! 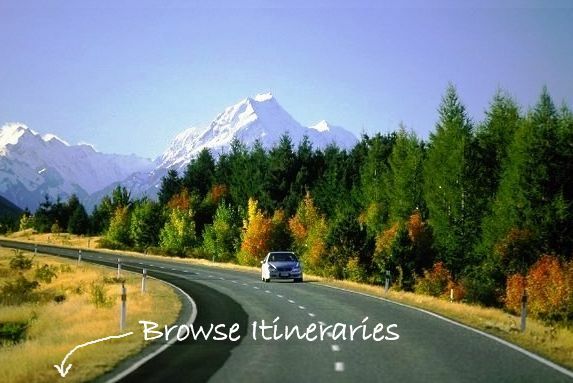 Trip planning for New Zealand self drive vacations is exactly what we do best. 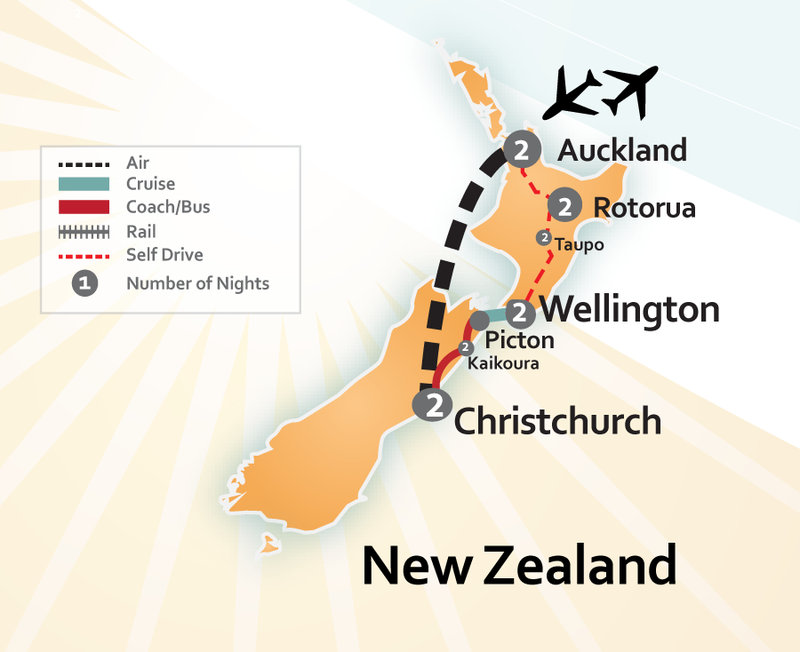 First, we determine your interests, from which we can suggest New Zealand attractions, sites and tours that suit you. Then we piece them together into an optimized route & detailed itinerary that works for your time-frame and budget. 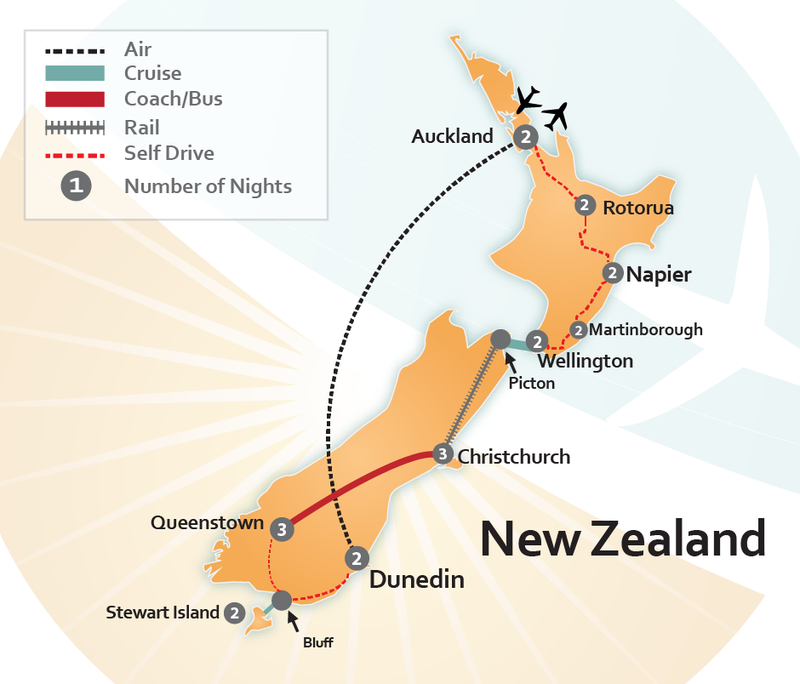 Voila – your customized New Zealand Self-Drive Tour! But that’s not it, we take it a step further: we contact our New Zealand vendors, we make sure they have ‘availability’ for all the places you want to visit, tours you want to join and places you want to stay for your travel dates. If they do, then we secure them all and you’re good-to-go! But, if we find availability issues, which there often are, we tweak the itinerary to make it work. As a result of all our hard work and planning, you travel stress-free knowing that you will never be disappointed by a ‘Sold Out’ or ‘No Vacancy’ sign. 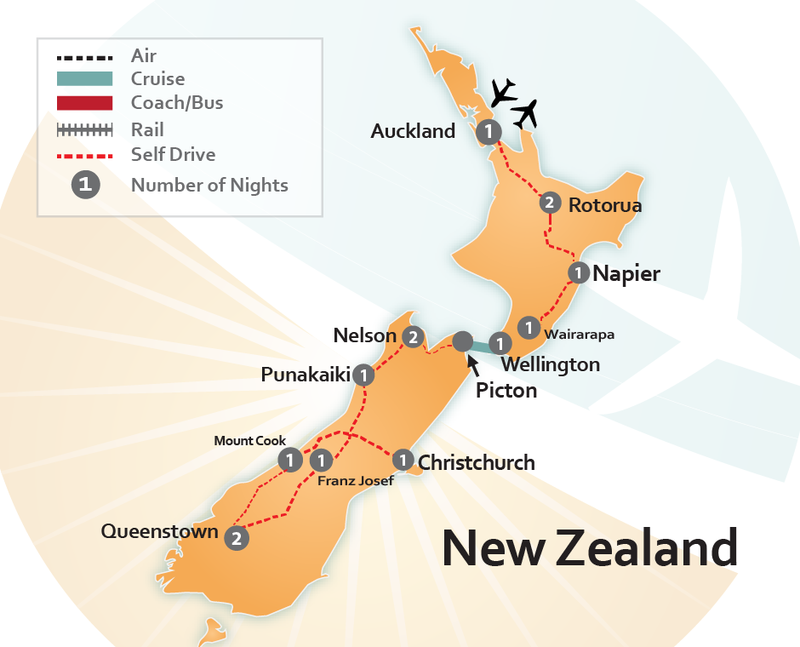 New Zealand self drive tours offers you the flexibility of exploring and touring at your own pace, yet its organized enough to avoid all the hassles of ‘last minute’ travel. You decide the pace that you want for your vacation, and enjoy the privacy and comfort of your own rental vehicle. We build ‘free-days’ into your itinerary, days you can explore the region on your own, and we also pre-book popular Day Tours like guided Glacier Walks, or a cruise on Doubtful Sound so its guaranteed and you won’t miss out on these must-do activities. New Zealand self drive tours are the perfect stress-free blend of independent travel & guided day touring of the must-sees and must-dos. Browse some of our self-drive itineraries (below), then contact us with your favorite and we’ll start customizing it to meet your travel needs. 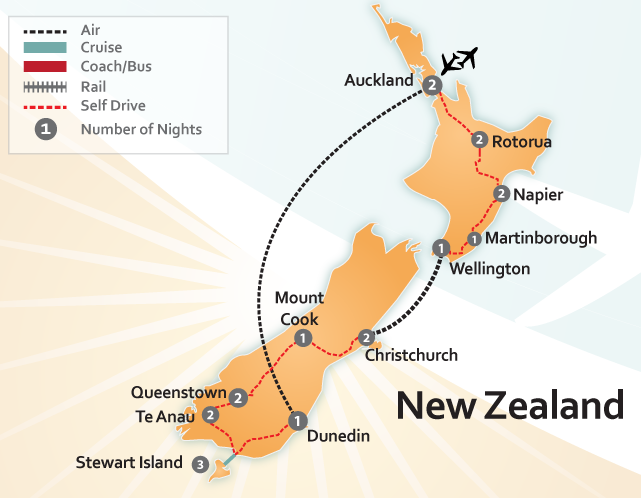 We can’t wait help you plan your tour of New Zealand. You’ll fall in love it, we guarantee it!